This is one important question that needs answer especially to the newbies on Android devices. Yes it's true that some batteries are better than others in capacity and durability but no matter how strong your battery is, if you don't apply the good and necessary measures, you won't get the best out of it. ==> Not clearing cache files of some apps on your phone. If you hate to see those warning red signals on your phone for low battery, then use this steps to minimize it. This tutorial will not do magic for you, but it will improve your battery performance to the nearest minimum. I will be explaining to you how you can extend your battery life with a recommend app. Though phone manufacturers like Gionee, Infinix mobility and even Tecno have started producing nice smartphones with very good battery life, but some brothers and sisters here are still wallowing in the forest of bad phone batteries. Therefore you are reading this because you need your battery to start lasting longer than before. HOW WILL I MAKE MY SMARTPHONE BATTERY LAST LONGER? 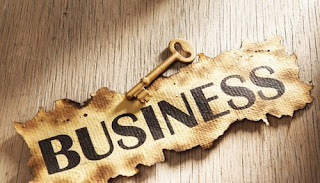 In this post, I am introducing an app called Advanced Task Killer (ATK). 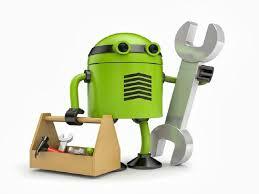 This app is a very important tool used to kill applications and clean phone memory. ATK is really simple to use. Just launch it after downloading and installing it, checkout all the running applications list. Uncheck some apps you don’t want to kill (such as Advanced Task Killer and some system apps) Now click the button Kill selected apps, it will kill all applications that you selected by checking the box. Ignore list is a list of apps you don't want task killer to kill. These apps are mainly your system apps and few chat apps like Whatsapp. This is because, once the task killer kills Whatsapp, you will no longer receive Whatsapp message notifications but your messages will be there waiting for the time you launch your Whatsapp again. This is applicable to all other apps that uses notification. Like every other thing in life, there is always a disadvantage in every advantage. When you want to add or remove application from the list, you long press on the app listed on the list, you long press on the app listed on the main screen of ATK, the menu will pop up, then you can select Ignore, and the application would be moved to the apps ignore list. When you tap ‘Kill selected apps’, it won’t be killed those apps on ignore list. Other task killing apps and antivirus apps also have ignore list. This is done when you want to kill background running apps automatically without long pressing them one after the other. There are auto app killer mode you can choose from. – Safe: This mode Only kills the apps that aren’t running but still consume phone's memory. – Aggressive: This mode Kills the apps running background and apps that aren’t running. 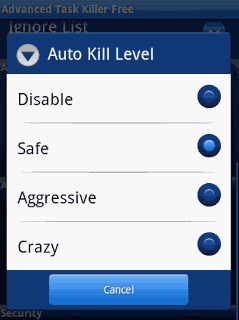 There is also another option called autokill frequency which you can also use. Apart from ATK, you can download greenify from playstore. It is also a nice battery saving app. These task killers not only saves battery, but they make your phone run faster with minimal lagging.